When Gaelynn Lea won NPR Music’s 2016 Tiny Desk Contest, her two decades as a hardworking and talented musician finally crystallized in a beautiful moment of national recognition. It was also just the beginning of a grand adventure. With the wind of her award at their backs, Gaelynn and her husband Paul sold their house in Northern Minnesota, quit their jobs, bought a van, and hit the road. On Saturday, September 22, 2018 at 9 p.m. she'll be performing at Iron Smoke Distillery’s World Famous Spirit Factory, Watering Room and Side Show (111 Parce Ave in Fairport on the other side of the American Can Factory). WRUR Different Radio is proud to be the presenter of this special performance, which is a free event! Drinks are available for purchase at Iron Smoke's bar. Gaelynn's new album Learning How To Stay comes out Sept. 7, and she has lined up tour dates to support it – including this stop in Rochester. Since her Tiny Desk Contest win she has played over 250 shows in 42 states and seven countries, adding nearly 100,000 miles to their Ford Econoline’s odometer. The singer-songwriter and violinist has performed everywhere from coffee shops, bars, schools and festivals; she’s graced the stage of renowned venues like Nashville’s Music City Roots, The Kennedy Center, House of Blues and even BBC World News. This June she was featured at arts festivals in Iceland and Switzerland, and she’s set to appear at the Winnipeg Folk Fest in July and Travelers' Rest Fest (curated by The Decemberists) this month. Yet somehow between this perpetual blitz of performances, Gaelynn also recorded her third full-length album set for release in September. Until this point Gaelynn Lea has presented most of her songs using only a few tools: a violin, a voice, and a looping pedal. 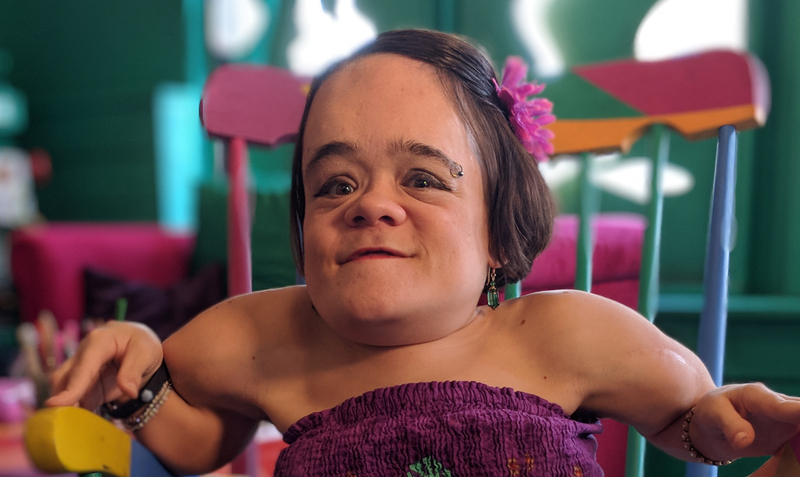 But for her latest, Gaelynn Lea enlisted the help of some musical friends to bring her new album to life. Several of Minnesota’s heavy-hitters—including Al Church, Dave Mehling, Marty Dosh, Andrew Foreman and Alan Sparhawk—lent their creative influence and musicality to this recording. The result is a powerfully emotive effort of confidence and purpose which captures the poignancy and presence of Gaelynn Lea’s crafted repertoire. Click here to see Gaelynn's new music video "Lost in the Woods". Special thanks to Iron Smoke for hosting this concert and WRUR-FM for its media sponsorship.